Who doesn’t like Rum and Coke? It is easy, simple and refreshing, and it clearly says “warm days are here”. Yielding to the ever increasing popular demand, Coca-Cola company just announced the brand new product – Rum and Coke in the can, which should be available in the supermarkets next to you starting in May. Going an extra mile, and taking an advantage of thawing relationship between US and Cuba, Coca-Cola signed an agreement with Bacardi company to use their famous authentic Cuban Rum for this product line, thus this new line from Coca-Cola will appear under the name of “The Real Rum and Coke“. Coca-Cola arch nemesis, Pepsi-Cola Corporation is reportedly peeved by the announcement and entered into the talks with the famous French Cognac producer, Hennessy, to come up with some authentic concoction. Stay tuned for the further updates. Starbucks recently announced that in addition to the Starbucks Evenings program, which adds wine and beer offerings at a number of select Starbucks locations, the purveyor of the fine coffee will add a Starbucks Mornings program, which will feature a special morning beer program to be available in select markets nationwide. The pilot will start in Las Vegas and New Orleans stores, and then it is expected to expand to New York and Los Angeles markets. Starbucks also announced a partnership with Blue Moon Brewing Company to produce a special light morning brew called “Blue Bucks”. A number of analysts in the industry believe that Starbucks Mornings program will be widely successful. Considering recent acquisitions of Siduri Wines by Jackson Family and J Vineyards by the Gallo, Bronco Wine Company, producer of the famous Fransia and Two Buck Chuck wines, decided not to be outdone by the competitors and made an offer to buy a legendary California producer, Sine Qua None, at an undisclosed amount. To express his reaction to the Bronco’s offer, Manfred Krankl, proprietor at the Sine Qua None, responded in his usual eclectic fashion by sending a case of one of his latest and greatest wines, a 100% Grenache, to the Bronco’s headquarters. 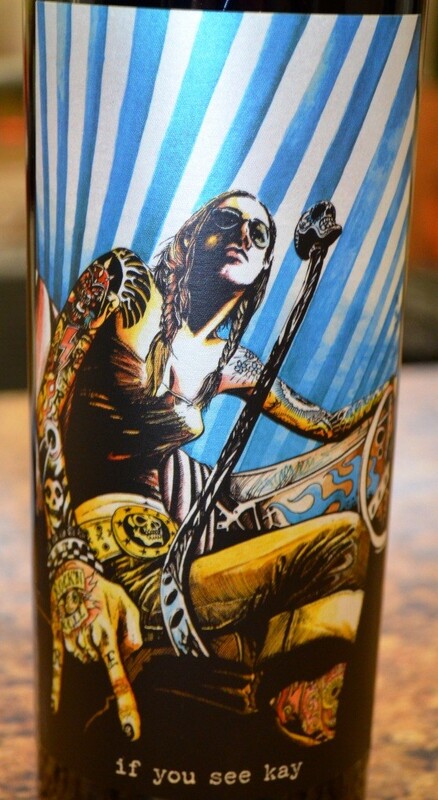 The wine, called Middle Finger, had specially designed unique label, surprisingly quickly approved by TTB. There is a great suspicion in the industry that the acquisition talks might collapse after that. And just a few more tidbits. Screaming Eagle, producer of the eponymous most desired California Cabernet Sauvignon, recently acknowledged growing trend of “Rosé Rules” by announcing the brand new Rosé, made from the best plots of Cabernet Sauvignon, under the name of “Screaming Hen”. The new Rosé wine will be priced at the $500 per bottle, and will be available to the mailing list subscribers. 150 cases will be produced. After this information became public, Christian Moueix, producer of the famous Petrus wines in Bordeaux, reportedly attempted to enter into the partnership with Chateau Miraval in Provence, to produce the best and most expensive in the world Rosé. Based on the limited information available to the press, the talks fell through as Christian Moueix was unable to convince Brandelina team to rip out Cinsault and replant it with Merlot. That’s all I have for you for today. Happy Wine Wednesday and Cheers! Let’s start from the answer to our weekly wine quiz #76, grape trivia – Roussanne. In the quiz, you were supposed to answer 5 questions about white grape called Roussanne. A1: Name Roussanne most like comes from the word “roux”, which refers to the reddish color of the grapes. A2: b. Côte-Rôtie. 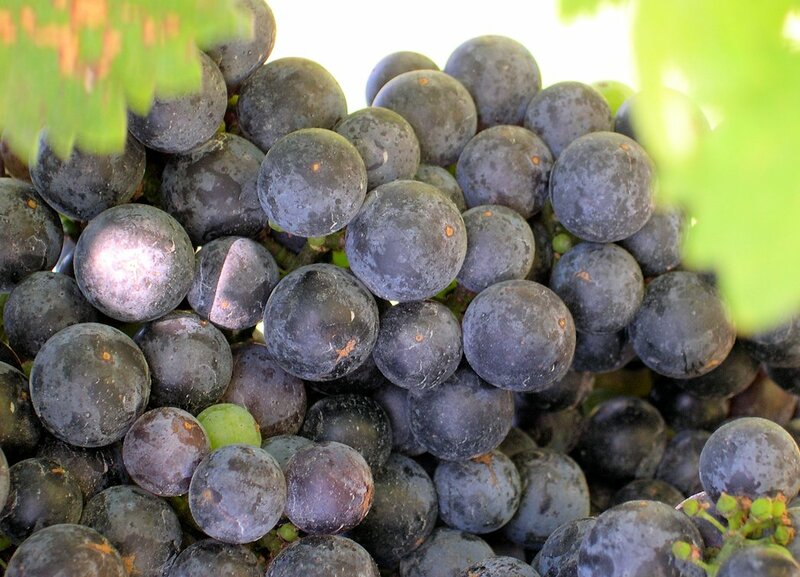 Roussanne is allowed to be blended into the red wines of the three other regions – but the white grape allowed to be used in Côte-Rôtie is Viognier. Q4: Roussanne was re-introduced in California in the 1980s, only to be proven in the late 1990s to be not the Roussanne but another grape. Do you know what grape was that? A4: Viognier. 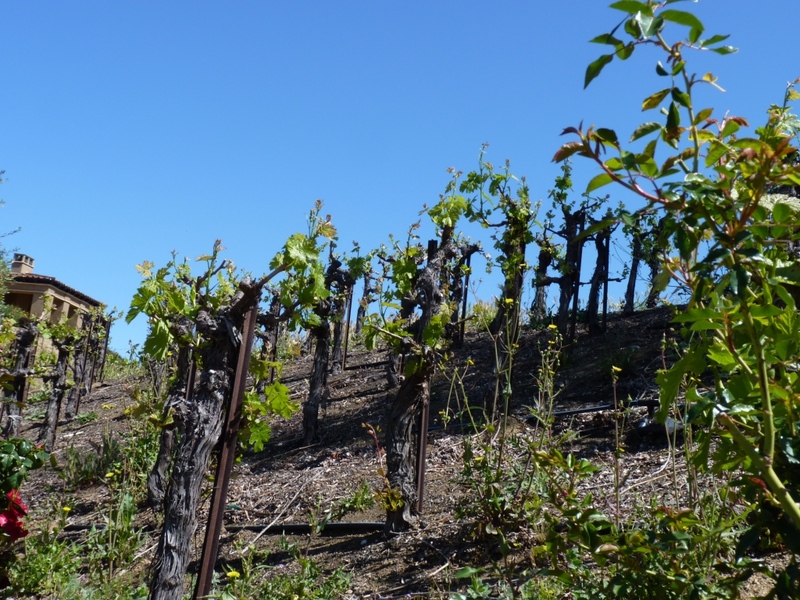 Randall Grahm, winemaker from Bonny Doon winery, brought [illegally] a number of cuttings of supposedly Roussanne from France at the beginning of 1980s. In 1998 it was found that the grape is actually Viognier, not the Roussanne. 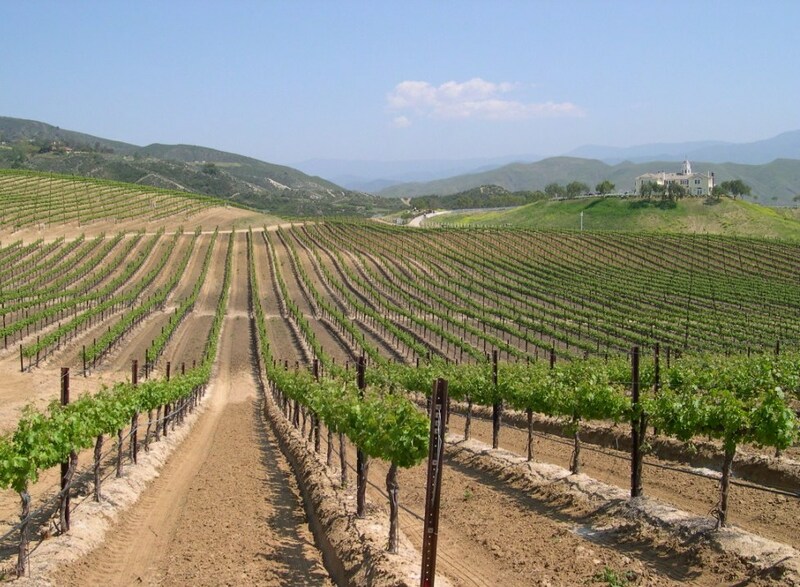 Q5: One of the first California “Roussanne” wines from the 1980s had a specific name. Can you name that wine? A5: The “Roussanne” wine was produced by Randall Grahm under the name of Le Sophiste. Sadly, there was very little participation in this quiz – I have to acknowledge Julian at VinoInLove, who was a sole participant – thank you Julian! I guess I’m going to far into the vineyard with some of my latest quizzes… Well, one more white grape, and we are switching back to the red right after. First of all, we have a new theme for the Monthly Wine Writing Challenge! Now in its 4th round, it is hosted by The Wine Kat, winner of the round #3. The theme of the #MWWC4 is… OOPS!, and I can tell you that oops is looming, as the submission deadline is already very close, it is only two weeks away – October 23rd. Get your writing pants… oops, may be glass? Writing hat? Well, whatever oops gets you moving, get it on and start writing. The theme announcement and all the important dates can be found here. Just a quick question at the moment. What do you think of Merlot? Do you still have an image of Miles “I’m not drinking no #$%^ Merlot”, or does it trickle back to you table and Cellar? Well, I can tell you that about 100 Merlot producers from California want to make sure you will once again look at Merlot seriously. Tomorrow, October 10th, is actually the start of #MerlotMe, a month-long celebration of Merlot, taking place both with the live events and all over the social media. You can find more details about the festivities here – and don’t wait, grab your bottle already! Let start with the answer for the Wine Quiz #46, Where in the World. In the quiz, you were given the picture of the vines and information about some of the grapes growing in the area, and you had to identify what wine region it can be. The grapes where Riesling, Chardonnay, Cortese, Viognier for the whites, and Cabernet Franc, Syrah, Sangiovese, Merlot, Cabernet Sauvignon, Petite Sirah for the reds. This was definitely a hard quiz, and the picture of the vines was not very suggestive. Considering that today winemakers in all regions experiment with all possible grapes, it was quite difficult to put things together. This picture was taken at Mount Palomar winery in Temecula Valley – and the reason I didn’t use this exact picture was the fact that I actually already used it once in the Wine Quiz #7 – so I thought to play on the same region, but with a different picture. Now, to the interesting happenings on the vines and in the glasses. First, it seems that wine events of all sorts are popping out everywhere at a mind-boggling pace. If you are a Riesling lover and you live in a close proximity to New York, there will be whole big event celebrating Riesling wines – Rieslingfeier will include a variety of different tastings taking place all over New York on February 15 and 16. If you interested in attending the New York Wine Expo, taking place in New York on March 1-3, 1WineDude has a special ticket discount code for you. How many times have you come across wine reviews where after you read, your only reaction can be expressed through the short but powerful abbreviation WTF? W. Blake Gray started tracking those reviews in the new feature in his blog called Bad tasting note of the week – take a look for yourself and see if you would want to drink that wine (based on the review, I’ll pass). That’s all I have for you for today, folks. Happy Wine Wednesday and don’t forget to open something good. Cheers! In the last wine quiz #39 – Let’s decant some wines, you were supposed to identify an essential element of wine decanting, mostly used in the fine restaurants. I’m glad to say that we have a winner – Stefano was right on the mark with the detailed description of the decanting process. 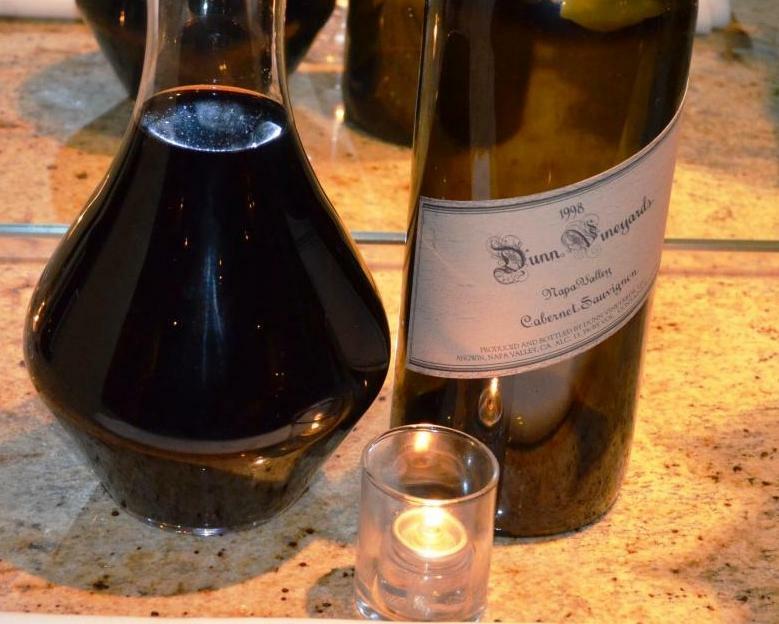 While wine cradle is important in some cases, candle is an essential element of decanting, adding a nice romantic touch, but most importantly, allowing to see when sediment is about to go into the decanter. thedrunkensyclist also suggested that any light source can be used, and not just the candle, so the prize (unlimited bragging rights) should be shared between both of them. Let’s move on to the interesting stuff. I don’t know how that happen, but I just realized that most of the “finds” I want to share with you are rather sad – however, I think they are still interesting to read, so let’s proceed. Now, this one goes close to the heart. You know, you have a treasure, which you keep for yourself, and you know it is always there for you, and then one day you discover that whatever it was, it is all crumbled and fell apart, and you get very sad? This is the wine blog, right – so you don’t expect me to talk about some memorabilia which I was not taking the right care of? Yeah, we are talking about wine. My treasure – Krug Champagne. I really experienced it once (both Vintage and non-vintage), and it was enough to still roll my eyes every time I think or talk about it. According to the blog post from Alice Feiring, this is Krug no more – of course it is still produced, but looks like starting with 2003 vintage, it become complacent and indistinguishable, it lost all its royal traits which warranted almost religious following… If you have an opinion – please comment (I hope at least one person will). Here is the post from Alfonso Cevola blog, talking about latest trends in the restaurants in US, which can’t be found in Italy – if anything, the pictures are cool, and his descriptions are fun to read. Last but not least – a note of thanks. I was nominated for Very Inspiring Blogger Award by Stefano from Flora’s Table blog – I’m very grateful for the nomination and all the kind words. Stefano has a wealth of wine knowledge, I love the recipes in Flora’s Table blog, but the most amazing part for me are the pictures – some of the very best food pictures I saw anywhere on the net… If you are not following Flora’s Table yet – you should! That’s all I have for today, folks – the glass is empty. Have a great #WineWednesday or #WhiskyWednesday – whatever your heart desires. Cheers! Meritage Time – and Happy Halloween! Let’s start our meritage post from the regular place – an answer for the last week’s Wine Quiz #34 – Hello, my name is… I would like to say that I’m quite happy with this quiz, as there was a very good participation, and there was a full range of answers, covering all available options. And the winners are (drum roll, please) PSsquared, VinoinLove and thedrunkencyclist as they all correctly guessed that Predicament is not a wine name. Believe it or not, but the rest of the names on the list are for the real wines. I don’t have the labels to show you for all of them, but here is some information and the links. if you see kay: the wine is made by Jason Woodbridge, and yes, the name is controversial – here is one of the articles on the subject. 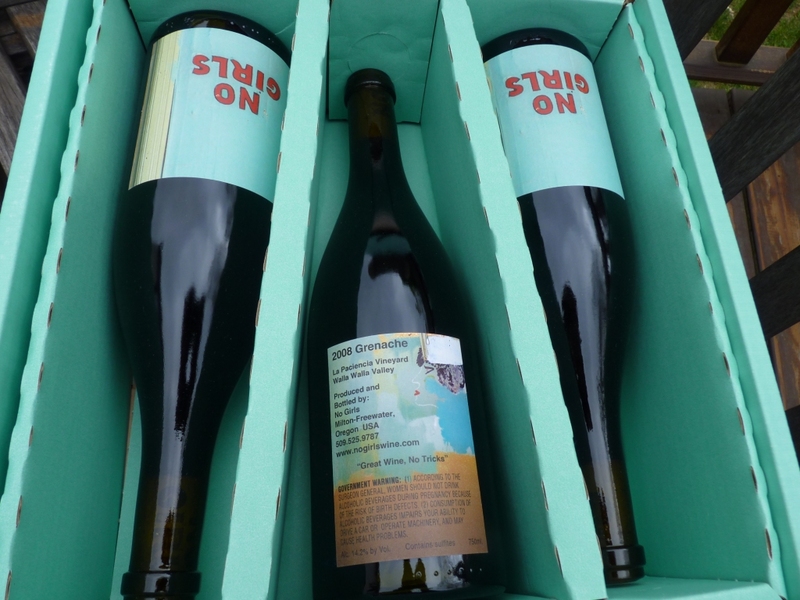 No girls: an actual wine by Christophe Baron, the winemaker behind Cayuse – here is the link to the winery’s web site, and here is the link to my short post about that wine (I’m a happy owner of a few bottles from the inaugural release). Frequency: I can’t show you the label or a good link, as 2011 Frequency Central Coast GSM is the first release of the wine. You can search for it on Wades Wines web site (I guess this is the only merchant carrying it right now). To the rescue: an actual wine by legendary Sine Qua Non, California’s cult Rhone style winemaker. The full name of the wine is Sine Qua Non Grenache To The Rescue, and you can look for it on Wine-Searcher (don’t be shocked at the prices, and if you will get a bottle for yourself, can you get one for me too, please?). Let’s move on to the interesting news from around the vine. First, I want to bring to your attention that November 8th is International Tempranillo Day – if you read this blog for a while, I’m sure you know that I’m very impartial to the Spanish wines, and Rioja in particular, and Tempranillo is a star there. Tempranillo is also successfully grown in many other regions of the world – Australia, California and Texas come to mind first. Find a bottle of Tempranillo and join the celebration on November 8th! Talking about celebrations – Beaujolais Nouveau 2012 is almost here! The new harvest celebration, originated by the French wine maker and wine merchant Georges DuBoeuf, takes place on third Thursday in November, which this year will fall on November 15th. The Beaujolais Nouveau arrival is celebrated with parties and events all around the world, and celebration this year will be special, as it will be the 30th celebration of this tradition. Look for the events in your area – I’m sure you will find some interesting places to visit and celebrate in style. At the very least, make sure to pick up a bottle of that young wine and celebrate in the comfort of your home. One of my favorite wine bloggers, W. Blake Gray, is back from vacation, so I’m offering to your attention an interesting blog post about bad wine reviews. Last but not least, here is the post by Joe Roberts, a.k.a. 1WineDude, where he is defending usage of oak in the wines. I’m also curious what do you think about oak in your wines, so feel free to use comments section and express yourself. That’s all for today, folks. The glass is empty. 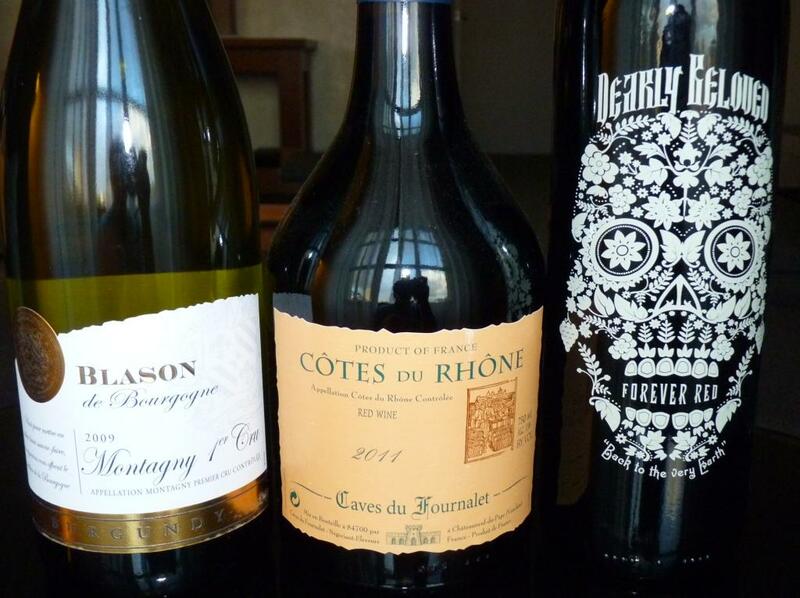 Happy (and spookingly exciting) Halloween Wine Wednesday! Cheers! And the brand new Wednesday is upon us – and here are [by now the usual] updates for you (by the way – let me know if you like this Wednesday mix, or if I better spend time on something else). Let’s start with the answer for the Wine Quiz #19 – Wine as Facilitator of Art and Craft. 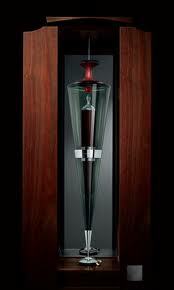 I’m glad to see that my readers are well informed (or have an unfathomable capacity for guessing the right answers) – the price of the Penfolds Ampoule is expected to be set at around $168, 000 (in US dollars) and it will be presented in Moscow, Russia by Penfolds Chief Winemaker, Peter Gago – here is a link to an official press release. In the “interesting news” department, let me share a few things with you. Wine Bloggers Conference 2012, also known as WBC12, will be taking place in about a month in Portland, Oregon (the dates are August 17-19). No, I will not be attending, but I still think this event is worth mentioning (well, may be one day I will convince myself…). In conjunction with WBC12, I would like to bring to your attention this post by Tom Wark in his Fermentation wine blog, where he is helping to collect money for Wine Bloggers Conference Scholarship Fund, which is then used to subsidize attendance of the WBC by individual bloggers (Tom is personally matching all donations for up to total of $500). The theme for Wine Blogging Wednesday #79 (Twitter: #WBW79) had being announced, and it is not a simple one in my opinion. This #WBW79 is hosted by BrixChiks, and the theme is “Summer Reading, Summer Wine” (here is the link to the announcement). You are supposed to answer one “simple” question – what would your favorite fiction character drink? I’m not sure if I’m up for the challenge, but – there is some time to think about it. This #WBW79 is taking place on Wednesday, July 25th – go get your book, and make sure your character is over 21 (hmmm, really, I just said that? Would that be necessary?). Last, but not least – the never ending debate about cheap wine versus expensive wine and consumers versus wine snobs, wine critics, wine ratings, twist, twist, another twist… just got a new twist in the form of an article in Forbes magazine and response from the wine critic Steve Heimoff in his blog. This is the subject of the endless debates, which I don’t want to casually enter (both sides are perfectly arguable and therefore it is a subject of endless debates without possible conclusion) – but I recommend that you will take a bit of time and read both articles and then … comment below! Let’s have the debate here – after all this is the blog for talking about wine, isn’t it? This is the end of news and updates. Happy Wine [Whiskey] Wednesday, everyone. Cheers! If you follow the wine discussions in the social media world, one of the most controversial (and therefore, popular and recurrent) subjects is price of wine. There is a full range of opinions out there, as you can imagine, from some people religiously advocating cheapest possible wines as their one and only choice, to those who pay $2500 for a bottle of Screaming Eagle or Chateau Petrus (to tell you the truth, I’m really curious as to what percentage of those spending the money on Screaming Eagle actually end up drinking it versus selling later on at an auction – but this is a subject for the whole another post). There had being also posts and articles advocating that consumers must buy only cheap wines due to the fact that majority is incapable to understand the difference between cheap and expensive wine anyway – here you can find my response to one such a post. Why am I talking about the cheap value wines all of a sudden? While in California, I visited Trader Joe’s store near by. In Connecticut, where I live, Trader Joe’s sells only beer. In Massachusetts, Trader Joe’s has very good selection of wines (I wrote a few posts about those wines before – here are couple of links for you – one about Amarone and one more generic). Wine selection at this Trader Joe’s in San Diego definitely beats the Boston store hands down – great representation of many regions, with a lot of wines offered at a great prices. So I decided to run a simple experiment – let’s see what I can get for a $20. I spent $21 on three bottles of wine, and when I tasted the Dearly Beloved Forever Red … this blog post was born. I will give you my tasting notes a bit later, but let me tell you – this wine was simply very, very good – at the price of $6.99, which I’m sure constitutes cheap wine in anyone’s book. I wonder how many people would reach out for this wine because of the label alone, which looks very cool, and then will put it back because they would think at $6.99 it can’t be good? I would very likely ignore this wine too, if I would not be conducting this experiment (not anymore, of course – after tasting it, I know I need a case). So what is driving the consumer behavior around the cheap wine? Outside of elitism, clever wine marketing and all the wine press which is trying to convince us that only more expensive is better, I think we have one fundamental issue coming out from our experience with cheap stuff. How many of you came back from the dollar store just to realize that what was looking almost as a treasure chest full of stuff for $10 or $15 is actually a $10 or $15 worth of junk, none of which can be used for its intended purpose? How many of us bought the cheapest tool just to understand that probability of killing oneself is a lot higher than probability of actually accomplishing the job you got the tool for? How many of us used cheapest possible material for a project, only to regret your decision every minute after and ending up paying a lot more than we would if we wouldn’t be so frugal to begin with? I think this experience is programming us to effectively disregard the cheap option simply from the fear of disappointment. We transpose this experience onto our dealings with the wine world – and in a lot of cases we effectively end up losing. I have to tell you that I had a lot of $15-$20 wines, which end up being not good at all, with or without any comparison with this Dear Beloved wine. I tasted many $50 and $100 bottles which are not bad, but don’t give you nearly as much pleasure as this wine. Am I saying that from now on I will only be buying the wines for $6.99 or less? Not at all. And if anyone wants to spoil me with Chateau Petrus or DRC, I will be forever obliged. But if we will be able to avoid making assumptions and judgements based on the price of wine alone, we would be far better off in finding the wines we like at the prices we can afford. This is not simple. I would love to conduct a simple experiment – pour this wine to the two different glasses and tell people that wine in one costs $6.99, and the same wine in another one costs $19.99, and see how many people will wholeheartedly advocate the $19.99 wine to be far more superior to the $6.99 one. I’m sure it will be a fun exercise – something you should try at home (if you do, I will be glad to hear about your results). So we really need to work on our wine buying habits – we definitely will be far better off if we do. Let’s start with 2011 Caves du Journalet Cotes du Rhone (13% ABV, $4.99) – very soft and round. The wine rolls very smoothly in your mouth – very subtle tannins, good red fruit, good acidity – nice balance, nothing stands out, just round and smooth. Very easy to drink. Doesn’t give you any amazing “oompf”, but I’m sure would be a great party wine as it will appeal to the broad audience. Drinkability: 7. Next – 2009 Dear Beloved Forever Red Central Coast, California (13.5% ABV, $6.99). Very nice nose of blackberries and some spice. More of the same on the palate – good red and black fruit, plums, ripe blueberries, warm spice, hint of eucalyptus, medium to full body, round tannins and and acidity, very balanced ( and stayed that way for 3 days). This is the description of much more expensive wine, but – $6.99 is $6.99… Definitely the wine to buy by the case. Drinkability: 8. Last one – 2009 Blason de Bourgogne Montagny Premier Cru, Burgundy (13% ABV, $8.99) – Burgundy for $9? Can that be even drinkable? Nice and balanced. Nose of white apple and lychees. Very round on the palate, white fruit, with distant hint of vanilla and toasted oak, may be a tiny touch of butter. Good balance, good acidity – should be a good food wine. Drinkability: 7+. That’s all for today folks. I’m glad it is a #WineWednesday, so this post will hopefully give you some food for thoughts. What are your great experiences with the cheap value wines, and what are the “not cheap wines” you regretted buying? Share it all here. Cheers and happy #WW! If you follow social media, especially Twitter, I’m sure you’ve noticed big amount of #WW tags in the messages on Wednesday. This abbreviation stands for Wine Wednesday or Whisky Wednesday, depending on who and when is using it, and it means a special dedication to one’s favorite beverage of the day. What is so special about Wednesdays and wine ( or whisky for that matter)? I honestly have no idea. I think any day is a good day for a glass of wine (or whisky), but may be people feel like they need a special declaration of sort “I will be drinking this Wednesday, instead of waiting for Friday”. Anyway, my take a simplistic one – any day is a good day for wine or whisky, as long as it tastes good. Sometimes, even that can be “bettered” – that is when you have a tasty treat and learn something new. So on Tuesday (!) I tried very good Scotch and made a discovery (fine, not by myself, I was simply educated by my friend Zak). Until Tuesday, I thought that single malt scotch can come only from Scotland or Japan. Then I learned that it can also come from … India (ha, I’m sure you didn’t expect that). Enters Amrut, the only Single Malt Scotch from India. Word Amrut means “Elixir of Life”, and actual scotch which I tried, was quite lively. Amrut scotch is produced in Himalaya, at about 3000 feet above sea level. The combination of the high altitude and tropical climate doesn’t allow for extended barrel aging – the scotch evaporates at much higher rate than it matures. Despite that, even in the young form, it really tastes like an actual Scotland classic. 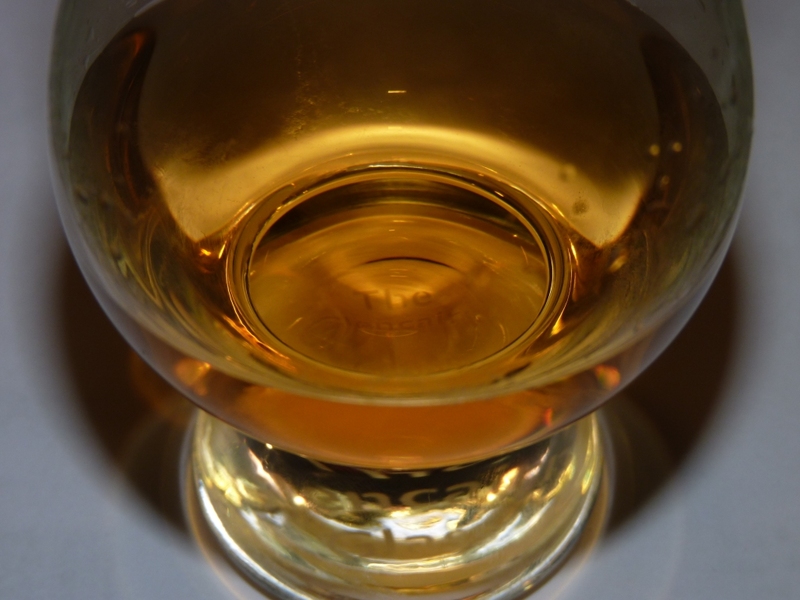 Cask strength – on the nose, first is a sensation of pure medicinal alcohol. Then it is very nice on the palate, with good oak notes. Feels like it has a lot of glycerine oils, I guess due to not being chill filtered. Peated – feels like pure charcoal on the nose and the palate. It is different from Islay Scotches, I would call it “liquid fire”. Of course it is not surprising that the smoky component feels different, as I’m sure that Islay peat exists only on Islay – nevertheless, this was probably best of tasting Scotch. Peated cask strength – it seems that “cask strength” should be the only difference with the previous one, but it appears to be an entirely different scotch – lots of sweetness on the palate, wood power comes only in the back – it doesn’t even feel peated. Again, substantial mouth feel of glycerin oils. Amrut is making it’s way to US – if you like Scotch, I highly recommend you will make an effort to find it and try it. And let’s toast great discoveries, any day of the week – cheers!